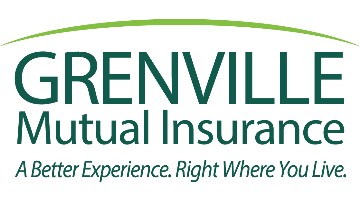 If you pay attention to detail, believe effective communication is important, are self-motivated with an ability to see the big picture, then Grenville Mutual Insurance is looking for you to join our Business Development Group specializing in underwriting and portfolio management. At Grenville, constant innovation and a focus on relationships are the cornerstones of our business. We understand that having innovative insurance solutions for our clients is an important driver of our business. We commit to the constant delivery and improvement of products and services in a competitive, dynamic environment. You can play a key role in fulfilling this commitment. Your primary responsibilities will be working with our distribution force to underwrite business with Grenville Mutual in our automobile and/or property lines of business. You will oversee a portfolio of business and be an active contributor to relevant projects. Using your experience, attitude and industry knowledge, you will analyze, assess, evaluate and determine acceptance of risks at all levels of complexity. You will have the ability to work independently and in a collaborative team environment and be a positive influence within our working environment. Post-secondary education, general knowledge of the property/casualty insurance industry and agricultural/commercial knowledge is a definite asset. More importantly we will be looking for aptitude, attitude and a very strong commitment to self-development.